Your Alliance Cancer Specialists’ medical record is available electronically. SeeYourChart® portal provides secure read-only access to your clinical documents, laboratory results, appointment calendar, and educational materials. 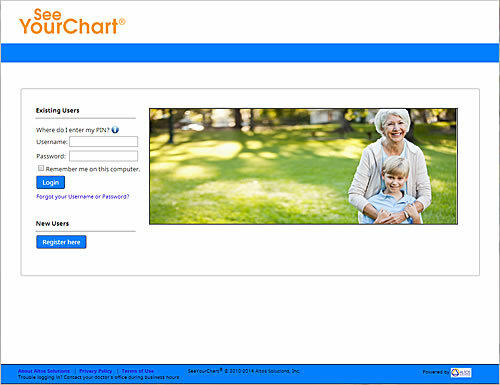 SeeYourChart is easy to use and intuitive, so you can begin using SeeYourChart quickly and easily. Patients can authorize access for family members, caregivers, and friends. In turn, this support group can access tools to help assist the patient. With SeeYourChart, you can communicate any non-urgent needs to our office electronically. Click here to view our how-to guide for using our patient portal.